What’s that on the horizon? 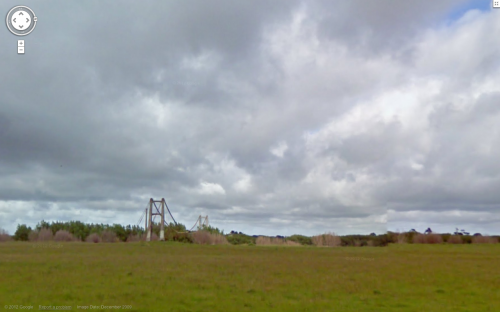 A suspension bridge in rural New Zealand?! Giovanni spotted this IRL and his Facebook pals revealed it to be the old Opiki Toll Bridge, a remnant from a time when the Manawatu was a thriving flax-growing area and, of course, the flax-growers needed a way to get across the river. With the threat of flooding, it was superseded in the 1970s by a two-way bridge a little further along the river. Reliable, yes, but not as grand as the Opiki suspension bridge.